A standard Commerical Documentary Export Letter of Credit (LC) is issued by a financial institution and used primarily in trade transactions. The LC is a contract between a Buyer and Seller and a guarantee from the bank to pay once specific documents are submitted and terms and conditions strictly complied with. 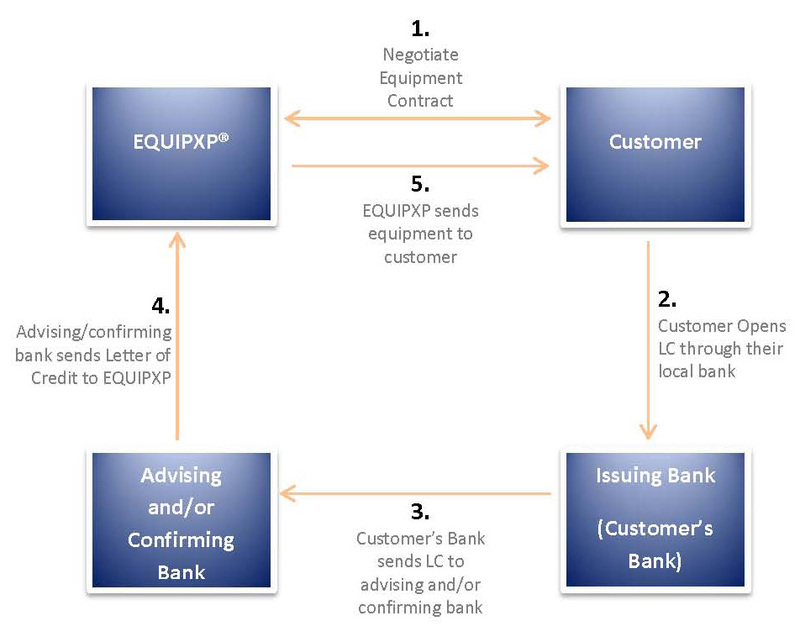 EQUIPXP® is uniquely positioned to assist our clients with structuring Documentary Export Letters of Credit and moreso provide a range of flexible payment options. The LC can be constructed and accepted with deferred payment ranging anywhere from 30 days to multiple years under our Suppliers Credit Programs.